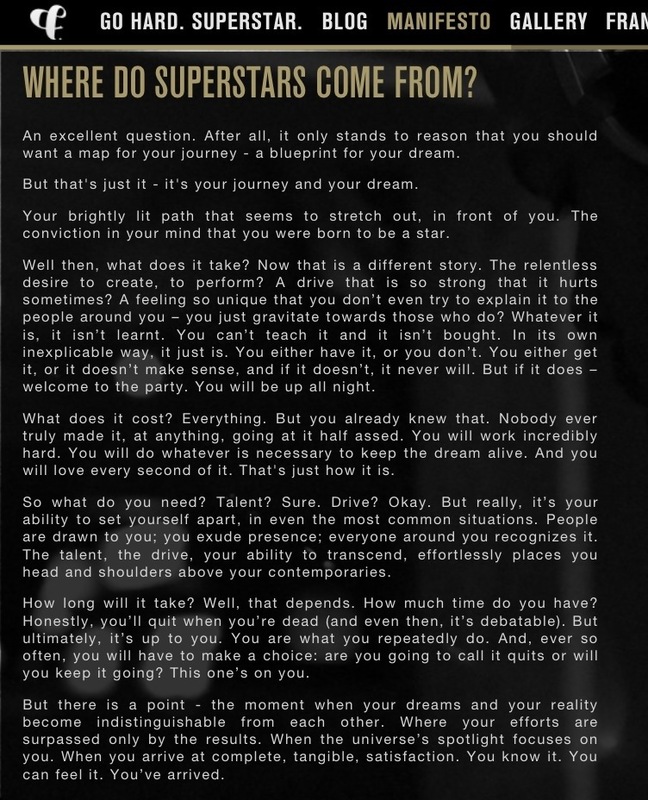 Reflective Writing: Where Do Superstars Come From? While my fashion blogs and magazines may be my most cited forms of inspiration, my main source of inspo definitely comes from the circle of amazing people I choose to surround myself. One such source of inspiration came from a friend's website this morning. Franco is a lifestyle brand that embodies the spirit and culture of the unconventional independent, who takes the road less traveled - one who is determined to be successful, but on their terms. The designs of our streetwear collections draw inspiration from the cultures of skate, music, film and the arts. GO HARD. SUPERSTAR. is the brand's tagline and also serves as an online hub for the brand's like minded individuals complete with online shop, blog and magazine. I just received my shipment of items from China (yes after 3 months, more on that later) and as I dragged two suitcases and a box worth of belongings up 77 steps (no elevator in my apartment) I began to think about the road less traveled. I am in Europe, pursuing a Master's degree and trying to break into an industry in which the degree will put me on no better footing than a fashion school junior with 6 internships under her vintage belt. Because I am the girl who entered the beauty industry with a science degree and zero career placement assistance from my undergraduate institution (and when I could have easily transferred schools to FIT that offered a cosmetic science Bachelor's I decided to stay at GW poking around with zebrafish). And then I was the girl who left a US work visa to return home to start her own business. I'm the girl applying to every fashion job and internship I can find way too early, and with way too much education, and not a lot of experience. And now I am the girl fighting up with two suitcases in a building with NO elevator. It isn't logical. But it's my journey. And it's been so much more enriching than the "cookie cutter" route. So when I see online communities like GO HARD. 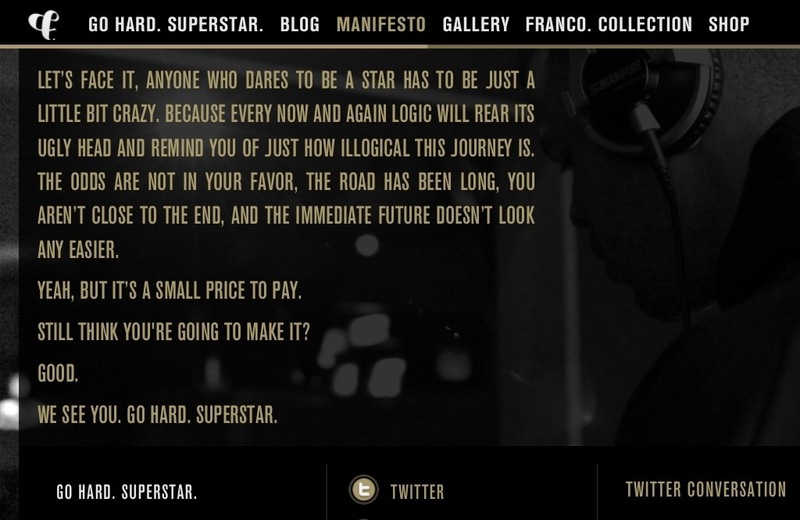 SUPERSTAR. it reminds me that I'm not the only one trying to get to an elusive endpoint in unconventional ways. And it reminds me that, just like I eventually hauled all that stuff up those stairs by being strategic (and taking breaks when necessary) I will make it. And it will be amazing. And it makes me feel just a little bit less crazy. Thanks, Gian.